This still life of humble kitchen wares, and another depicting elegant serving utensils, were exhibited as a pair at the Salon of 1757. 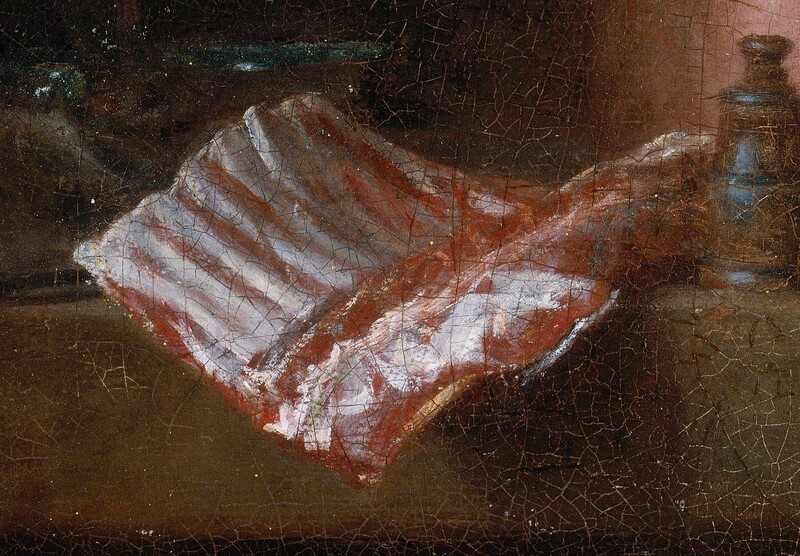 Close examination reveals that Chardin changed the position of many objects as he painted, evidence of his painstaking craftsmanship and determination to create harmonious balance in what appear to be casual groupings. 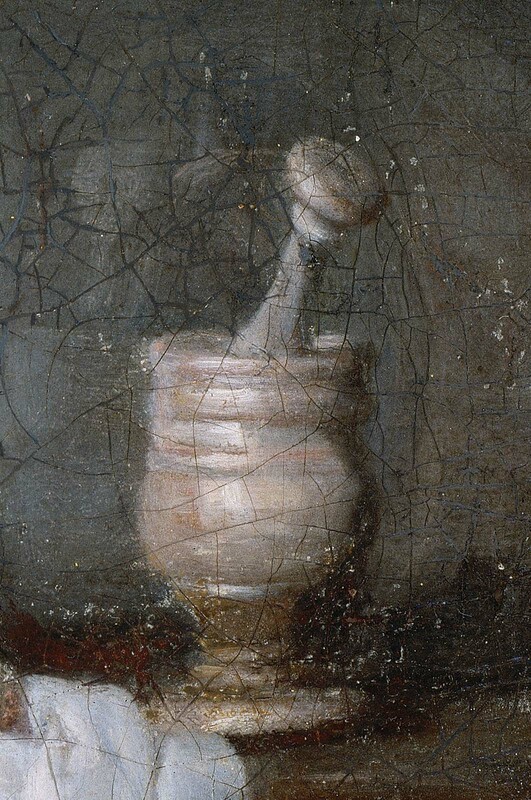 The reworking of the mortar and pestle at the right is most apparent to the naked eye. 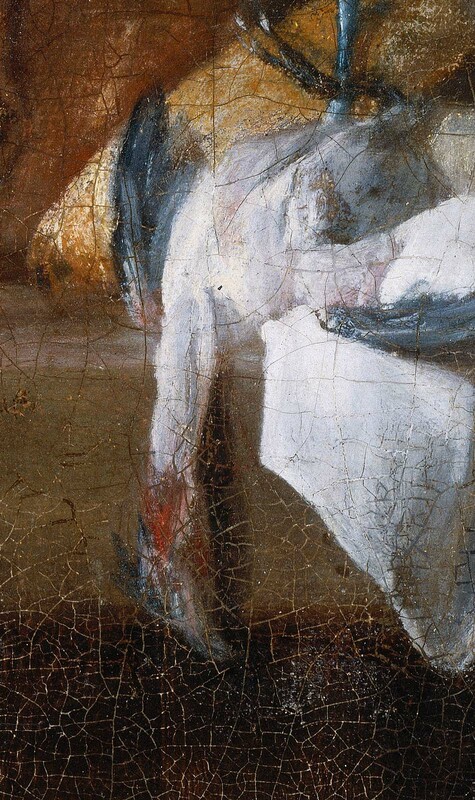 La Live de Jully owned the painting at the time of the 1757 Salon, where it was exhibited (no. 33). The 1791 Le Brun auction catalogue indicates that the painting and its companion piece "were made with care for Juli de La Live." 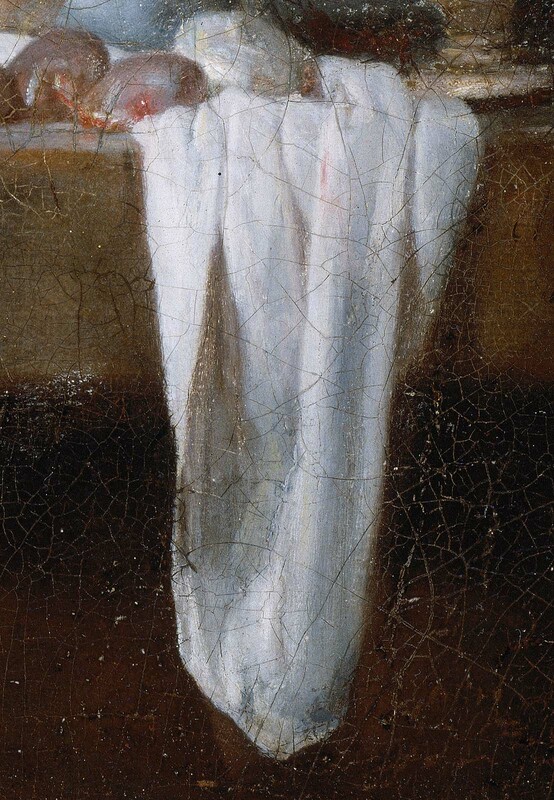 See Pierre Rosenberg, "Chardin 1699-1779" (Cleveland, 1979), p. 305. 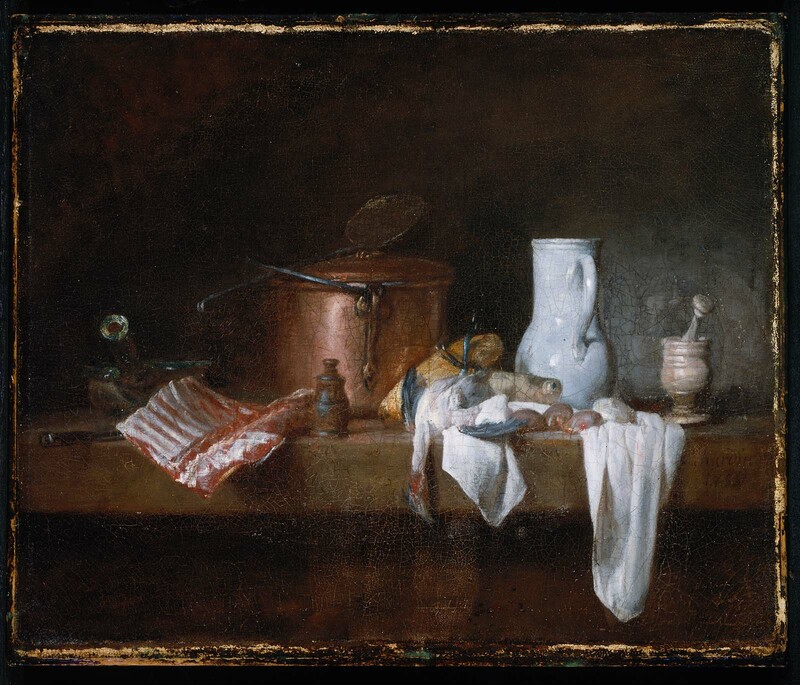 From 1779 to 1807, the painting was sold in the same lot as its companion piece, "Butler's Pantry Table" by Chardin, with the exception of the 1787 de Peters estate sale, when it was sold alone. 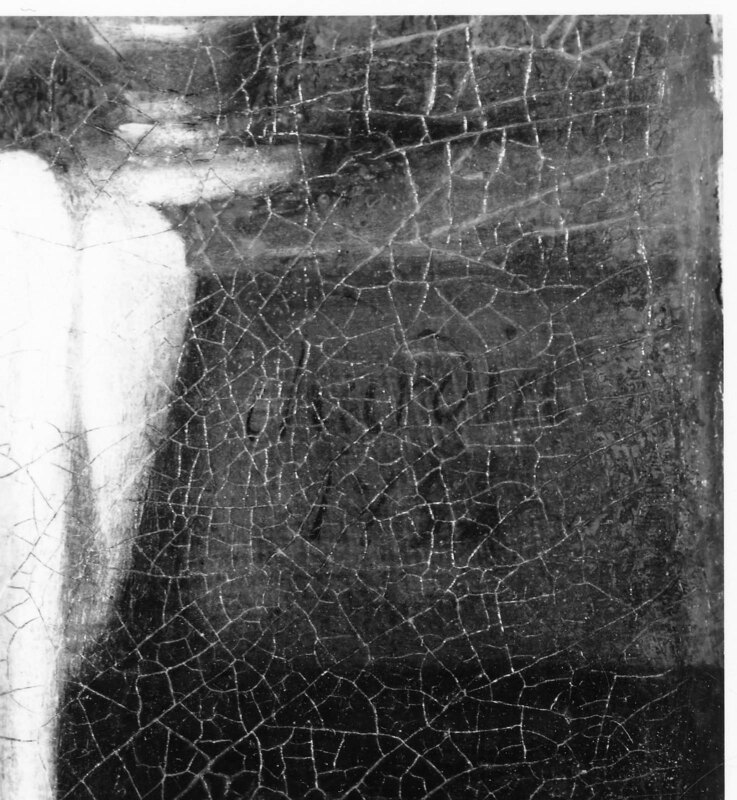 See Eric M. Zafran, "French Paintings in the Museum of Fine Arts, Boston" (Boston, 1998), pp. 94-97.